Book now. Pay on the day. +48 12 4214865 © 2019 Freebookers. Operated by Lifeboat Limited. 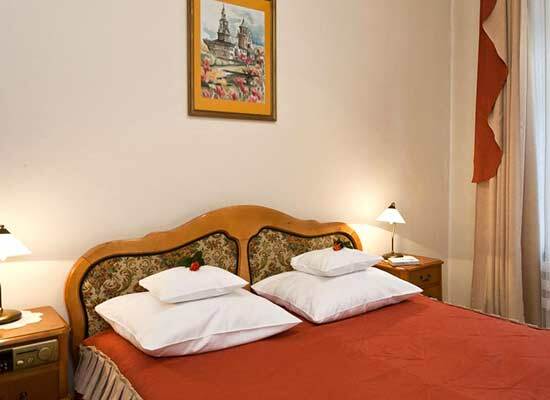 Hotel Saski is a stone's throw from Krakow's Market Square. Enjoy Krakow's unique charm - right from the front door. 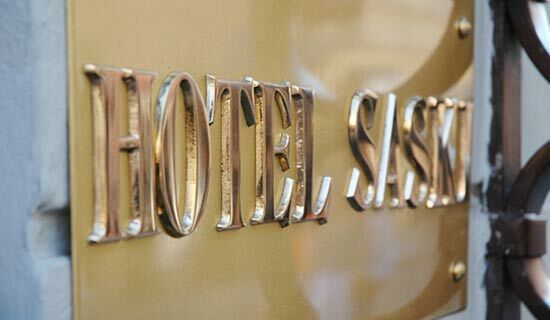 Hotel Saski provides comfortable and clean accommodation for a reasonable price. The price for the location cannot be beaten. The hotel is modern and comfortable, but retains traces of its charming history. 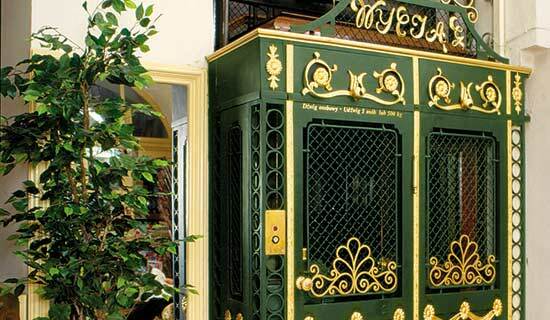 The lift is over 100 years old - and still working! 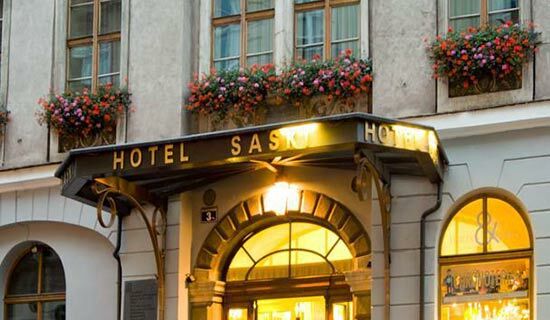 Hotel Saski offers a rare combination - accommodation that is both congenial and affordable, and right in the heart of Krakow's Old Town. 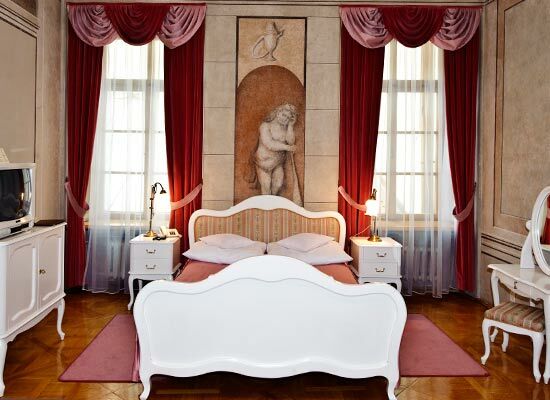 A fashionable hotel during the Fin-de-Siecle, Saski was relaunched a decade ago and it has become something of a trusted choice with visitors to the city. 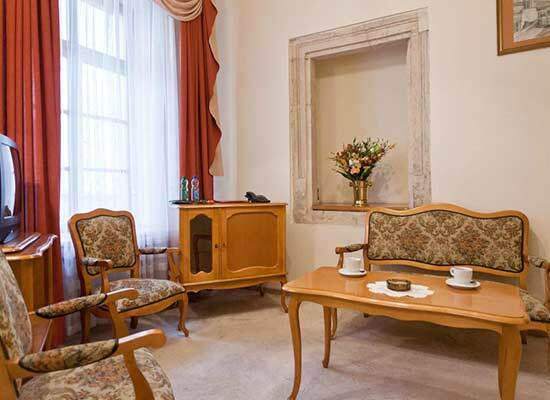 Saski is based in an attractive mansion just off the main market square - the location is superb, with all the delights of the city just a short stroll away. The cream of Cracow's cafes, shops and museums are all at hand, making this a wonderful base from which to explore the city. The atmosphere of Saski still resonates with the spirit of Old Krakow. 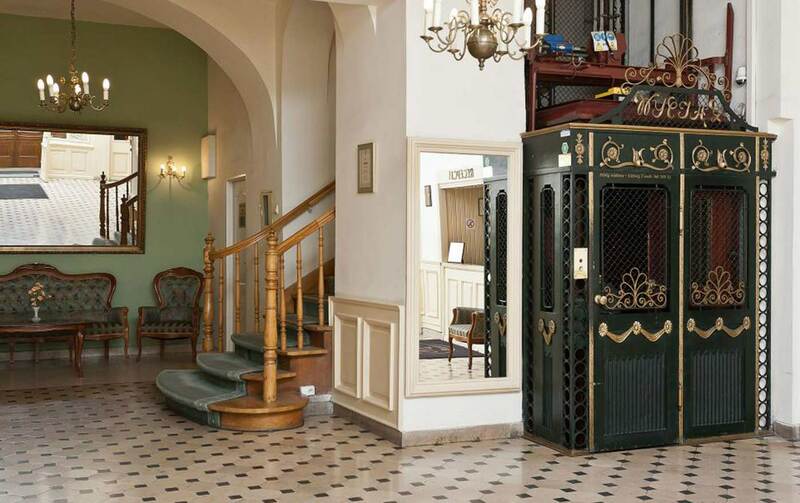 Although thoroughly restored in recent years, you'll still find many charming old features, such as stained-glass windows and a rather wonderful old wooden lift that you could well imagine Marcel Proust stepping out of. 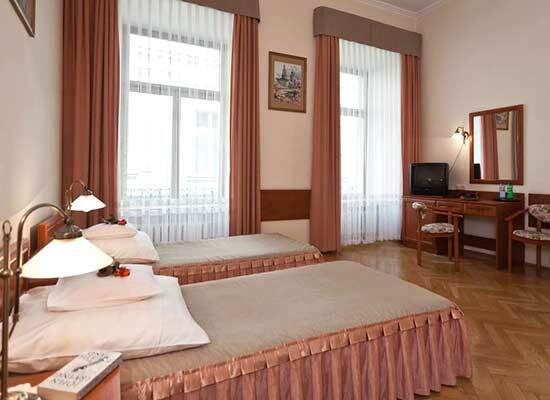 The hotel has a light and airy atmosphere, and it can easily accommodate large groups. Saski has sixty rooms all in all, including singles, doubles as well as triples, and these can be reserved with or without a bathroom. There are also eleven suites if you are tempted to indulge yourself in a little more space and luxury. Stepping through the reception hall you'll find yourself in the excellent Metropolitan restaurant, which is amongst the most popular in Krakow. This stylish, modern eatery is where expats head for when they have longings for an English or American breakfast, but the mouthwatering lunch and dinner menus have made it an all round hit for Poles and foreigners alike. All in all, Saski would be an ideal place to head for if you are looking for the charm and romance of an Old Town location yet at affordable prices. "Without doubt one of the nicest and friendliest hotels we ever visited, all 8 of us agreed. The buffet breakfast was excellent and the staff were more than helpful when we needed extra breakfast items. Roomes were spotless , nothing was too much trouble.". "The location cannot be beat, especially for the price. Not your Beverly Hills Hotel, but will do for sleeping only. No spa services or anything, but the staff is very nice and helpful.". 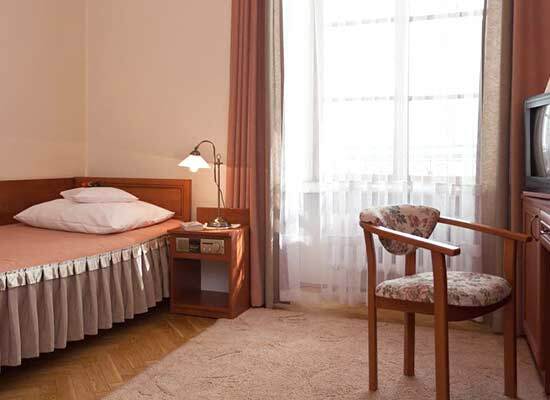 A single room offers great value to those travelling alone. Rooms for two that are comfortable and have ensuite bathrooms. Greater comfort in a hotel of charm and character. Check-in time is from 1400 and check-out before 1200, but staff will do their best to be flexible. 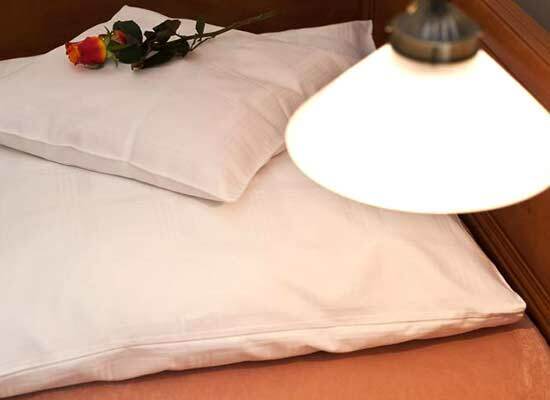 Please book today, and simply pay during your stay at the hotel. All major credit cards are accepted. We hope to see you, but offer absolutely free cancellation up to 3 days prior to your visit. 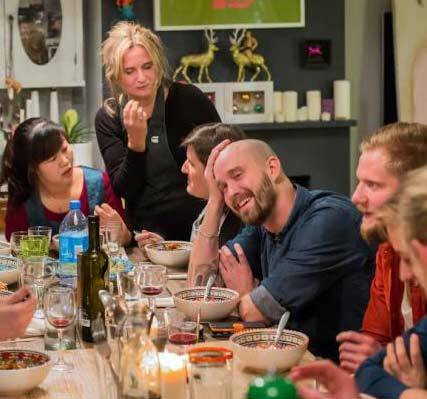 Share a delicious, home-cooked meal with a Polish family in Krakow. A memorable evening of food and friendship. 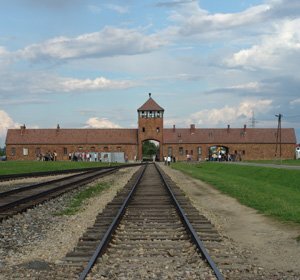 A humbling, emotional tour of the Nazi concentration camp that took the lives of so many in a dark chapter of recent history. 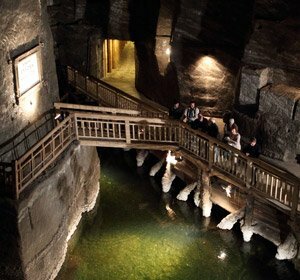 Relive the extraordinary story of salt miners over the centuries in an extensive network of underground tunnels and caves.